A common service we provide for our clients is Keyword Research, where we research various tools to discover what types of key words and phrases people type into Google when searching for your products or services, (if you interested in doing this yourself then read our earlier posting on getting started with keyword discovery). This arms them with a solid list of terms that can be used for many types of marketing. Typically, Keyword Research is done for SEO keywords that are inserted onto the site to help rankings, but there’s other ways to use your Keyword Research effectively that we’ve covered below. Enter keywords – naturally – into the written copy of your site including main headings, sub headings, body copy and blog content. Don’t “force” your keywords into the writing; the more natural it sounds (using synonyms and plurals), the better the effect. Meta tags are the blue link (title) and description that show when your site appears in search results. Using your targeted keywords in these tags (make sure they’re unique per page) helps Google and other search engines relate your page to those words, and rank you in results accordingly. You can help people using screen readers and search engines recognise your images better by using your target keywords naturally in your image information, such as the ALT (alternative) text, Title and file name. Search engines look at the links within your site, and the words around them to gauge what the page you’re linking to is about. Using keywords here, within the link text and surrounding the link helps to establish the target page for key phrases. When building links to your site from other sites, you can use your keyword research to help build a natural link profile with varied keywords. Search engines look at these links, and the words associated with them to better understand your site, and where the link is going to. Keyword Research can be used for AdWords and Paid Search campaigns, where these systems run on an auction system where you can per click on your Ads for different keywords. There are many tools that can estimate Cost Per Click prices, and recommended budgets for target keywords to help you plan a paid search campaign. Furthermore, testing keyword performance from paid search can be a great way to help find the right SEO keywords. Your Keyword Research can aid your social media efforts in terms of the words you post when linking back to your site, hashtags and general social sharing. Google looks at the content on your social media pages, such as Facebook, YouTube and LinkedIn and relates this back to your website. Using your keywords in your social posts helps search engines recognise your website for those words, reinforcing your SEO efforts. When building content on your site, as well as off-site you can use your keywords to help guide the creation of information that your target audience will enjoy. 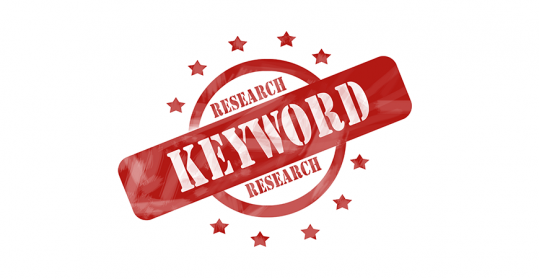 Keyword Research is typically done in themes, where the themes or sections of your site will have different groups of keywords that can form a seed list for content creation. Even before SEO existed, writers were researching their keywords so they could find the right words to grab their audience’s attention, and using your Keyword Research for content curation is key to learning about your customers and what makes them tick. Keyword Research is a great way to find out where your competitors are out-performing you, and areas for potential gains. There may be particular groups of words that your competitors are targeting that you could also look at, as well as identifying areas where your ranking position is low compared to competitors. If you’d like to know more about Keyword Research and how to work it into your digital strategy, get in touch with us.